New Zealand is a perfect country to travel around at any time of year. Part of its perennial appeal is the freedom to choose exactly where and when you travel. Each season does of course offer its own particular appeal – the long, warm days of high summer to the glorious autumnal colours, the sense of renewal during spring to the soft light and snow-dusted landscapes of winter. Read on for our top tips on when to visit New Zealand. As we in the northern hemisphere wave goodbye to summer, our Kiwi counterparts are looking forward to welcoming spring. With long days of sunshine and each day getting warmer than the last, spring is a glorious time of year to visit the Land of the Long White Cloud. Average daytime temperatures between September and November range from 19 degrees in the North Island to a slightly milder 16 degrees in the South Island. What to do in New Zealand in Spring. Nature and wildlife enthusiasts will adore this time of year when New Zealand bursts with new life. Explore the verdant valleys surrounding the garden city of Christchurch and watch baby lambs frolicking and playing in Canterbury’s fertile fields. Or head south to Oamaru and witness hundreds of little blue penguins – the world’s smallest, gathering in large numbers in the late afternoon. Spring is without doubt the best time to enjoy a cruise on Milford or Doubtful Sound. 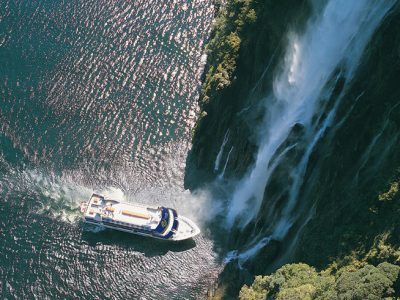 The onset of the earlier winter rains mean the towering waterfalls of the fiords are at their most dramatic enhancing your experience of awe-inspiring Fiordland to magnificent effect. Outdoor enthusiasts will revel in taking to New Zealand’s many hiking trails during spring. Cooler temperatures and emptier tracks offer the perfect environment to experience tramping along one of New Zealand’s Great Walks. Spend time in Central Otago in spring and be awe-struck by the sheer beauty of the blossom-lined streets and orchards in full bloom. 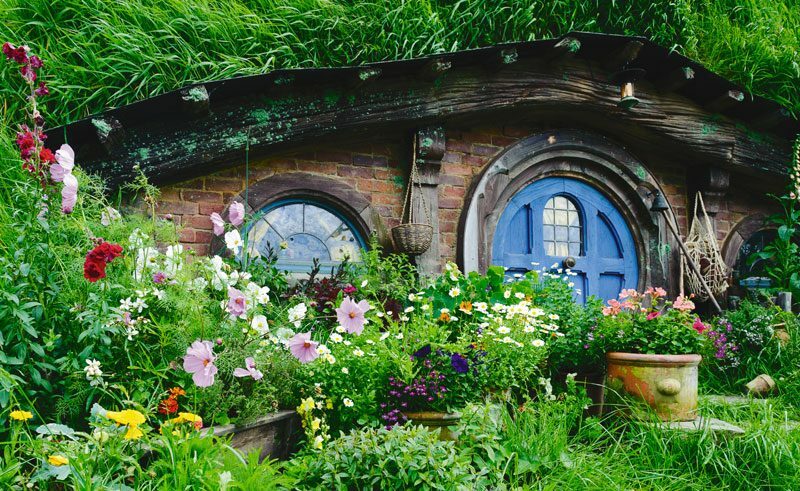 One of New Zealand’s most iconic attractions – Hobbiton is ideal to visit at this time of year. Wander the shire on a guided tour and admire the charming bluebells before visiting the Green Dragon Inn where the gardens are in full bloom. Escape the dark cold days of the Northern Hemisphere and visit Aotearoa during its summer months to indulge in the ultimate winter respite. Summer in New Zealand runs from December through till February and offers visitors balmy sunny days with temperatures ranging from 21 to 25 degrees Celsius. Like the UK, New Zealand is an island nation and in the summer months that means one thing – the sea. 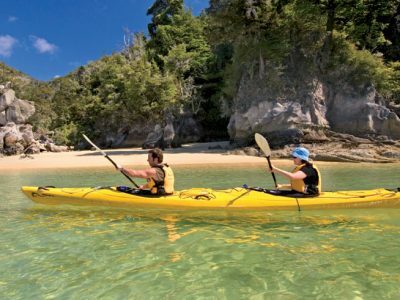 Do as the locals do and take to the glorious beaches of Abel Tasman National Park at the top of the South Island, New Zealand’s sunniest region. 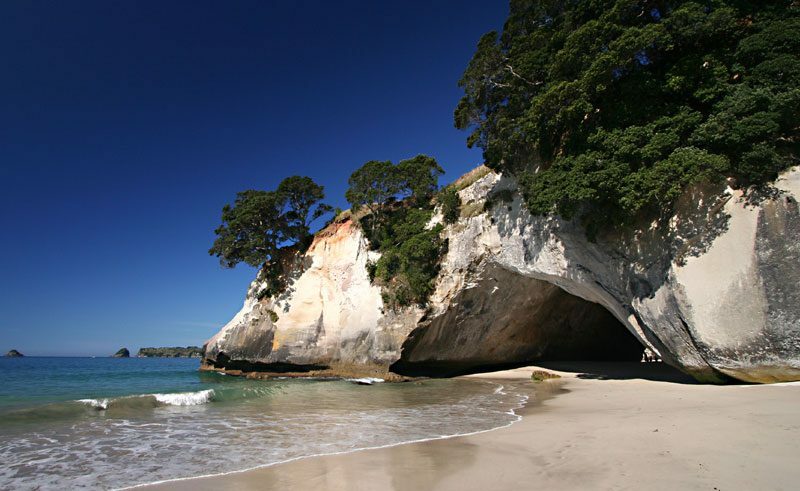 Summer is the best time to visit the sensationally beautiful Bay of Islands. Despite retaining its beauty year round, it is the warmth of the sun’s rays that allows visitors to make the most of its main allure – the water. Get out into the bay on a scenic cruise or sail and enjoy picnics on undisturbed islands – once the landing place of intrepid European explorers. Alternatively, visitors can hire kayaks and paddle the calm waters in search of native wildlife including dolphins and seals. The Coromandel region of New Zealand’s North Island is best enjoyed in the summer months when the days are long and the temperatures warmer. An ideal summers morning in the Coromandel is spent exploring the many quaint artistic settlements before indulging in freshly caught seafood and New Zealand wine for lunch. In the afternoon take to the coastal walking tracks visiting Cathedral Cove or Hot Water Beach – two of the Coromandel’s most prominent natural wonders. What's the average temperature in New Zealand? Average daytime temperatures range from 21C in the south to 25C in the north during summer and you can enjoy ‘subtropical’ weather in North Island. Expect a range of 16-21C during spring and autumn, with winter temperatures dipping to 10-16C. South Island, particularly, in the mountains can get very cold during winter, while North Island remains mild and is virtually ‘winterless’. The nights start to get chilly around mid-April (autumn) and early spring days can often be crisp and sunny. How much rainfall does New Zealand get? Most rain occurs during winter and this can turn to heavy snow in the Southern Alps where you’ll find world-class skiing and winter sports. Spring showers combined with snowmelt can supercharge the waterfalls in South Island’s Fiordland and mountain regions. Expect a mix of weather at any time of year, although summer usually has plenty of sunshine, little rain and is rarely humid. Escape the hustle and bustle of the popular summer months and visit New Zealand in the cooler and quieter autumn season. Visit between March and May and witness the country glimmer in the ochre hues of autumn – a majestic time of year to visit when daily highs still range from between 17° to 21°. Autumn in New Zealand is all about the colours, so to really appreciate New Zealand’s autumnal shades of gold visitors must get out into the open air. Keen hikers will revel in undertaking some of the country’s best day walks – such as the Tongariro Crossing when the high temperatures and crowds have subsided. Or if you would rather make use of two wheels then the mountain biking tracks around Rotorua offer autumn visitors the perfect excuse to immerse themselves in the seasonal changes. 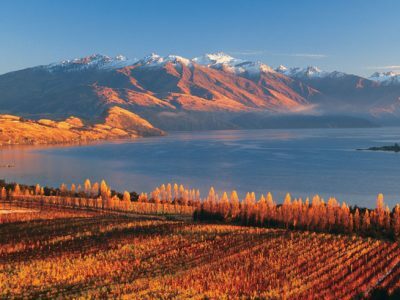 Visiting New Zealand in autumn is a photographers dream, with the landscape of Central Otago simply sensational at this time of year – Arrowtown in the South Island being a particular favourite spot of Discover the World. Why not travel the width of the South Island on the TranzAlpine train and photograph the ever changing landscapes as the seasons shift. 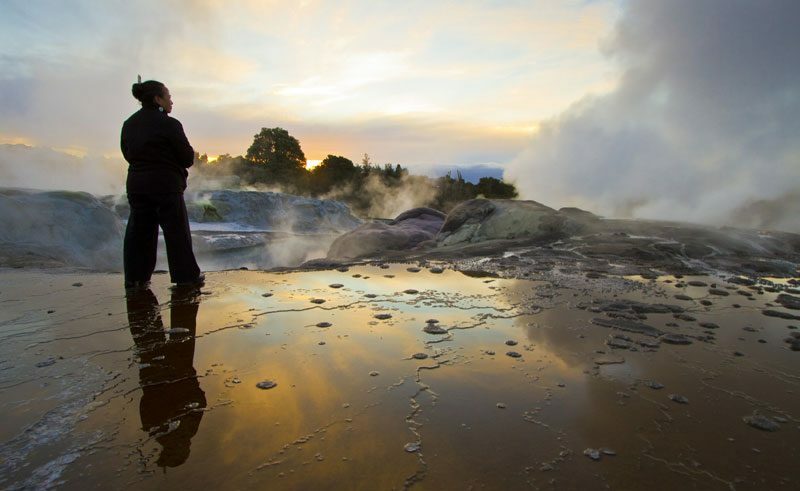 The North Island has a temperate climate, especially in the far north so days are milder than you might imagine averaging at around 12 degrees Celsius. The South Island is slightly cooler at this time of year with an average daytime temperature of 10 degrees Celsius. Despite the need to pack jumpers and swap sandals for boots, visiting New Zealand at this time of year will reward you with endless awe-inspiring vistas, reduced visitor numbers and simply spectacular scenery speckled with snow. Now why would you, in the height of British summertime want to travel to New Zealand where the onset of winter is approaching? For one simple reason – New Zealand was designed for wintertime. Despite average temperatures similar to that of a UK winter, New Zealand thrives at this time of year. 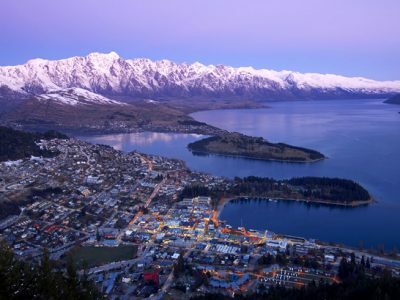 Where the UK has slushy snow and gritted roads, New Zealand can offer towering peaks covered in the crisp snow – a snow sport lover’s paradise – and when the UK provides drizzly days with bitter winds, New Zealand offers frozen glacial lakes, cosy wooden lodges and geothermal hot springs. Despite its sincere beauty at this time of year, New Zealand in winter is not all about the snow. Visit Kaikoura in the South Island and between June and July look out for migratory humpback whales as they head for warmer waters further north. 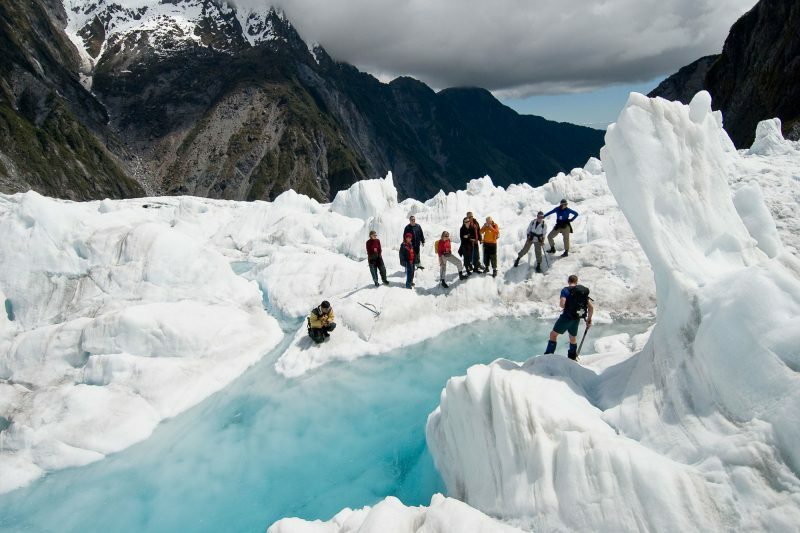 Or enjoy an adrenalin-fuelled heli-hike on Franz Josef Glacier when the crowds have departed and when the ice formations are at their most inspiring. Alternatively visit Waiheke – an offshore Auckland island where cosy lodges offer roaring fires and sensational views across the Hauraki Gulf to Auckland and a place where indulging in cheese and locally-made wine is not frowned upon but rather actively encouraged.